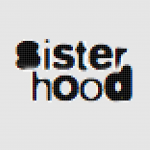 Fahmida Riaz 1946-2018 - sister-hood magazine. A Fuuse production by Deeyah Khan. 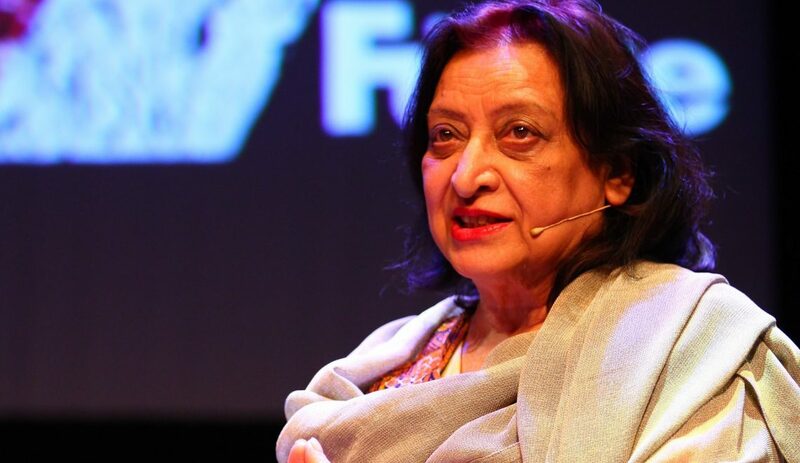 Writer, novelist, translator, activist and ‘poet of resistance’, Fahmida Riaz wrote over a 15 books of prose and poetry. She was a courageous pioneer of women’s writing, raising controversy for her radical and feminist political positions in her native Pakistan: a rebellious female voice within a stifling male-dominated state. Born in the city of Meerut, Uttar Pradesh in 1946, Fahmida was brought up in Hyderabad, where her father was posted during Partition. Her father died when she was four years old, and Fahmida was raised by her mother. Her mother, Husna Begum, supported the family on her own. Fahmida published her first poem in the literary magazine Funoon at the age of 15. While attending Zubeida College, she protested the ban on student politics. After leaving college, she entered into an arranged marriage in 1967 and had her first child. Her return to Karachi occurred just after the secession of Bangladesh and the rise of the Pakistan People’s Party (PPP). Although Fahmida largely shared their leftist convictions, she strongly criticised the PPP’s actions to suppress Sindhi and Balochi political movements. She married Zafar Ali Ujan, a Marxist who had been part of the National Awami Party movement in Sindh. The couple had two children and launched the progressive political magazine Awaz – which was banned after the ascension to power of General Zia ul-Haq’s administration. Under ul-Haq, Pakistan’s political climate became clouded by religious orthodoxy and authoritarian rule. Fahmida and her husband were charged with sedition, with 14 cases raised against Fahmida personally. She and their two children moved to India, where her husband would later join her. Over this period, Fahmida worked as poet in residence for Jamia Millia Islamia University in Delhi. The family would remain in exile for seven years, returning in time to attend Benazir Bhutto’s wedding reception. Fahmida went on to hold senior education posts under Benazir Bhutto’s presidency. Tragically, in 2007, her 26-year-old son Kabir died in a swimming accident in the US; a devastating personal loss. In the same year, Benazir Bhutto was assassinated, casting Pakistan into disarray and also affecting Fahmida personally. Although primarily renowned as an Urdu poet, Fahmida was also fluent in English, Hindi, Sindhi and Persian and could also speak some Arabic. This made her an expert translator of Sufi literature into Urdu, as well as giving her a broad cultural frame of reference which informed her own creativity. She located her own work firmly within the South Asian traditions of Faiz, Shaikh Ayaz, Gul Khan Naseer and Ajmal Khattak. She translated some of the works of Ayaz, as well as Shah Abdul Latif Bhitai. Most significantly, she produced an Urdu translation of Rumi marked by an exquisite sensitivity to language. She served as chief editor for the Urdu Dictionary Board from 2009-2012 and was managing director at the National Book Foundation. She was the recipient of numerous awards: the Hemmet Hellman Award for Resistance from Human Rights Watch, the Al Muftah Award for Literature: Poetry, Sheikh Ayaz Award for Literature: Poetry, Presidential Pride of Performance Award for Literature and Sitara-e-Imtiaz. She was also known as a supporter of progressive causes, including the Woman’s Action Forum, and other movements pushing against inequality in Pakistan. Despite failing health in her later years, she continued to comment on politics for as long as she was able. She was particularly despondent about increasing religious fundamentalism in South Asia. She was diagnosed with an auto-immune condition in 2017, and died at 73 years of age after a succession of strokes. Her funeral was held in Lahore, where she had been staying with her daughter, who is a doctor.